The following essay by novelist Charles Baxter continues the NBCC’s In Retrospect series with a look back at William T. Vollmann’s “Europe Central,” a finalist for the fiction award in 2005. Of all the keyboard music I care about, there’s one piece I’m particularly addicted to: Dimitri Shostakovich’s Prelude and Fugue No. 7 in A major, from the Op. 87 set of preludes and fugues, as played by Keith Jarrett; I’ve listened to it so often that it’s become stuck in my head and simply repeats itself whenever I’m sick or depressed or need cheering up. This music arises dreamily out of the other twenty-three preludes and fugues like a minor miracle of joy, like happiness lifting up unaccountably from oppression and tragedy. Nothing explains it. Because of this piece, when I first read the reviews of William T. Vollmann’s Europe Central (a novel that is, in part, about Shostakovich and his nearly lifelong terrors), I bought the book and read it. Even before I was halfway through, I began thinking, This is a great novel, and it’s like almost nothing else by any of my contemporaries. America, which people tirelessly say is the most powerful country in the world, is also, maybe because of its power, one of the most provincial and forgetful. We are often barely conscious of other countries and other cultures—who here can even name the current Prime Minister of Canada? quick: who runs Mexico?—and our collective amnesia concerning our own actions in world history has about it a strange addled blank mindedness. By contrast, Vollmann’s novel is a feat of remembering, a monument of feeling and fact(s), a monument—no, not a monument, because monuments do not live, and Vollmann’s novel is raw and shiny with life—to the history of oppression in the twentieth century. The book is very much about history (it contains over fifty pages of footnotes), but its research never overwhelms it or renders it didactic. All the research does is to make every detail specific and telling. The episodes regularly treat individuals caught on the wrong side of history, their misplacedness giving these players a perspective on historical events that have run completely out of anyone’s control. The novel’s epigraph, “The majority of my symphonies are tombstones,” is quoted from Shostakovich, one of the few characters in the book who is up to the task of writing his own history (in music) and the history of his contemporaries, in a kind of musical code. Vollmann honors him with careful attention. Käthe Kollwitz is another artist whom Vollmann portrays carefully and lovingly, just as he reimagines several other historical characters, film makers, generals, poets. The portrait of Shostakovich—who is by turns brilliant, loving, apologetic, eloquent and inarticulate, stammering his way through one potentially lethal confrontation after another, cowardly and brave, contradictory and sly, a genius-survivor in an era dedicated to death—finds its focal-point in the Shostakovich Quartet # 8, the op. 110. A contemporary American novel, epic in scope, whose central precious object is a Soviet-era string quartet! You can hardly believe that such a narrative is possible, gripping, and crucial to our understanding of the twentieth century—but it is. I don’t mean to suggest that this novel is morbid, unless you consider all great epics and tragedies to be morbid. It is accurate to the spirit of its time, and, in its way, brilliant and enlivening. This book makes you alert. You feel more alive after reading it; you know more about Europe and its ideologies and its victims. And finally, thanks to the art of the book, in the face of so much madness inspired by hopes of utopia, you are lifted up. —Charles Baxter was born in Minneapolis and graduated from Macalester College, in Saint Paul. After completing graduate work in English at the State University of New York at Buffalo, he taught for several years at Wayne State University in Detroit. 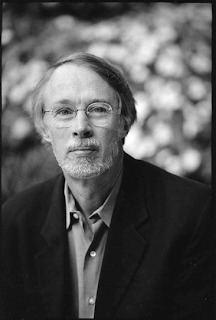 In 1989, he moved to the Department of English at the University of Michigan—Ann Arbor and its MFA program. He now teaches at the University of Minnesota. Baxter is the author of 4 novels, 4 collections of short stories, 3 collections of poems, a collection of essays on fiction and is the editor of other works. His latest novel, “The Soul Thief,” was published this week. "In Retrospect: Charles Baxter on William T. Vollmann’s Europe Central" was posted February 15, 2008. Previous entry: What Are You Recommending, Craig Morgan Teicher?